The Transportation Security Administration (TSA) is rolling out more lenient security procedures for travelers ages 75 and older. Yesterday, the TSA announced that it will try a “more intelligence-driven security system” at four U.S. airports, allowing older flyers to have an easier and possibly less stressful experience in the security line. Starting March 19, senior passengers at select U.S. airports—Chicago, Denver, Orlando, and Portland, Oregon—may experience a modified screening procedure. This means that the TSA may not require the removal of shoes and jackets. 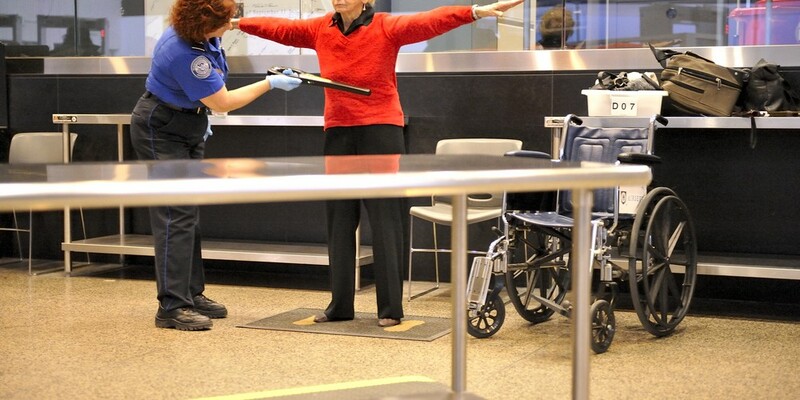 Additionally, older flyers may get to go through body scanners a second time when anomalies are detected; this could reduce the frequency of pat downs for the elderly. If you look young for your age, however, you may still have to go through the standard screening. Says the TSA, “Officers assisting passengers will make a visual assessment to determine which passengers are 75 or older.” It would make sense to determine who gets the lax screening procedure based on birth date listed on identification presented to security officers. Instead, the TSA will make the call based on appearances. Overall, these new changes are similar to the modified procedures for children that the TSA put into effect in 2011. Currently, children ages 12 and under are allowed to leave their shoes on when going through the security line, and may walk through metal detectors or body scanners multiple times (resulting in fewer pat downs for kids). What do you think about the new rules? Is the TSA getting smarter?